This is a sponsored post by NESTLE Coffee-mate. All reviews and opinions expressed in this post are unbiased and based on my personal view. It’s so easy to find mistakes in your day, see how you could have parented better, made better food choices and then call the day a failure. But, I’ve learned how important it is to not beat ourselves up over these things. Each morning is a new day, a chance to reinvent our health goals, a chance to heal yourself from regrets and a chance to take those lessons that you’ve learned and make the new day a better one. It’s never too late to give yourself a fresh start and you certainly don’t have to wait until January 1st to do so! A big part of starting my day fresh begins with a hot cup of coffee, topped with my favorite Coffee-Mate creamer. 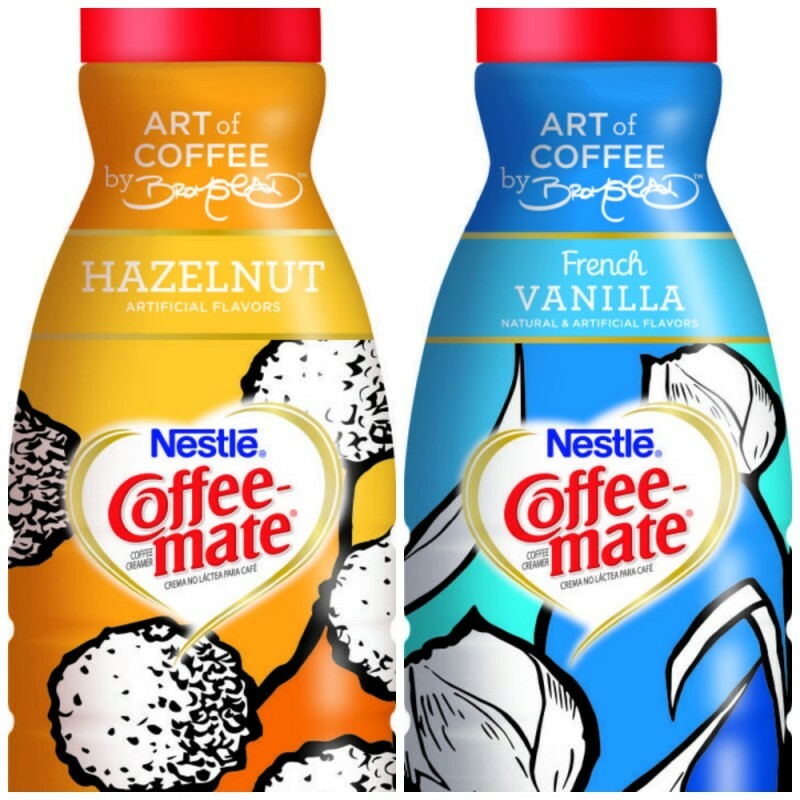 This summer, Coffee-Mate has partnered with David Bromstad with the launch of two new limited edition Coffee-Mate bottles exclusive to Target. Each bottle will still contain the same great taste, but they go along with our idea of “The Art of a Fresh Start”. The two Coffee-Mate flavors that include these creatively designed wrappers are the delicious French Vanilla and Hazelnut. Both are sold exclusively at Target’s store’s nationwide from July 5th – September 5, 2015. As we all face new life changes, it’s often advice from others that pulls us through and motivates us to make a fresh start. It can all begin with just a simple fresh start in your morning routine. Set your alarm 15 minutes earlier – There is nothing worse than being woke up from an alarm to jump out of bed and rush into your morning routine. I often set my alarm 15 minutes earlier and take my time to get out of bed, stretch and just mentally prepare myself for the new day. Wake up to coffee – Start the day with a fresh cup of coffee. Try a new flavor if you need a change and add a little something to sweeten your day. When you start your day with Coffee-mate, you’re choosing to make it more delicious from the very start. And that’s a very beautiful thing – especially when Coffee-mate’s limited edition bottles are inspired by celebrity designer and artist David Bromstad. Take time to cuddle with your kids – Instead of turning on their lights and hollering “Time to get up”, try crawling into bed with them. Softly wake them up with a stroke in their hair or a hug. These quiet moments don’t last long in the day and they create a warm fuzzy spot in your heart. Check the daily calendar – Nothing like forgetting an appointment mid day. 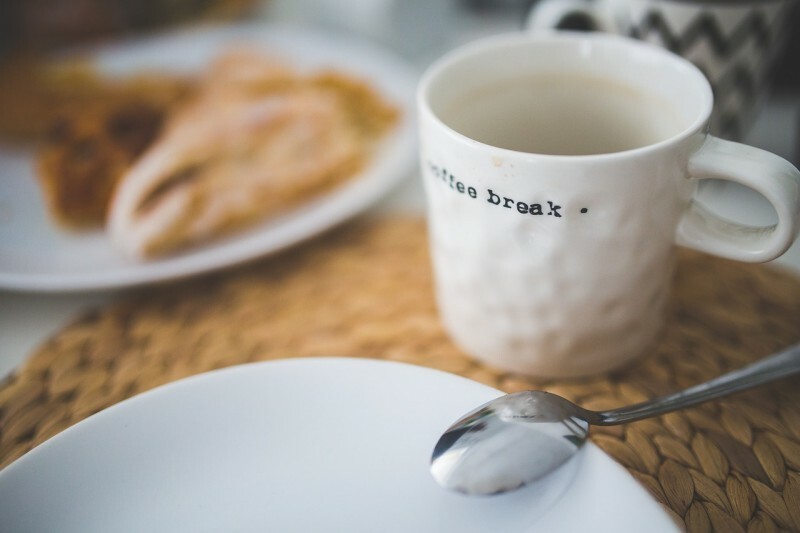 While you are sitting down with your coffee, check out the calendar and see what appointments are scheduled that day. Add an alarm to your phone so you can remember! Quick morning workout – A quick morning workout is a great way to get the endorphins rolling. Set out your clothes the night before and get dressed first thing out of bed. Get your workout out of the way and you can spend your day with success right off the bat. Plan your food – If you are trying to lose weight or have goals that require you to eat right, plan your meals out either the night before or first thing in the morning. Having a plan of attack, knowing what you will be having all day, will keep you from grabbing a random snack and throwing your day into a spiral. 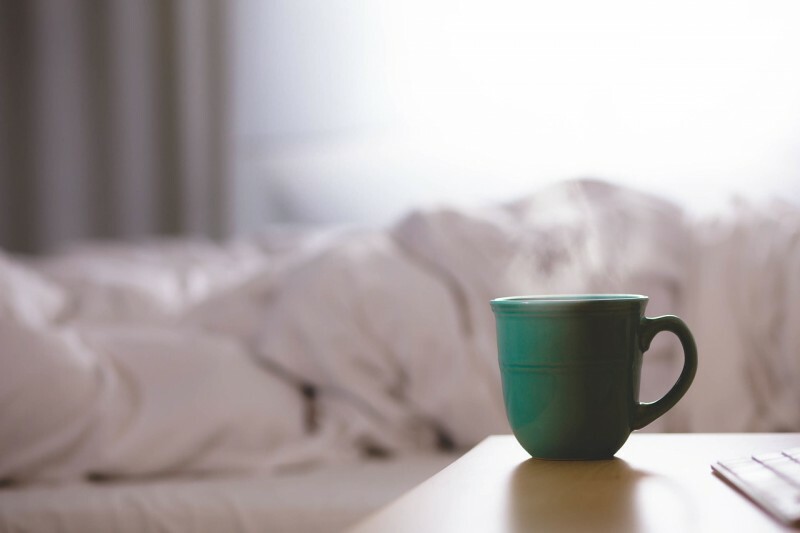 There are many other things that can be added to this list, these are just a few of the things that I do when a fresh start is needed in the morning. Disclaimer: This prize was provided by NESTLE Coffee-mate, but NESTLE Coffee-mate is not an administrator or connected in any other way with this contest [or sweepstakes, or giveaway as applicable]. The Bullseye Design, Target and Target GiftCard are registered trademarks of Target Brands, Inc. Terms and conditions are applied to gift cards. Target is not a participating partner in or sponsor of this offer. No purchase is required to enter or win. This giveaway is open only to individuals who are legal residents of the United States, who are 18 years of age or older. Giveaway ends on July 26, 2015. Winner will be selected randomly via the Rafflecopter application. Winner will be contacted via email and will have 48 hours to claim prize before a new winner is drawn. Mommity is not responsible for shipment of prize. This promotion is in no way sponsored, endorsed or administered by, or associated with, Facebook.